The muscular dystrophies are a group of genetic diseases that severely affect children and adults. For sufferers and their family, the illness presents enormous physical and psychological challenges. 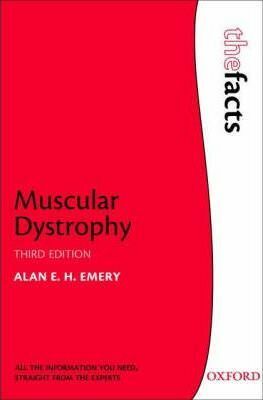 Written specifically for people with muscular dystrophy and their families, this book answers many of the questions asked about how and why muscular dystrophy occurs, and how it will affect the life of a recently diagnosed child. As well as presenting the reader with advice and an explanation of muscular dystrophy, the book also guides the reader towards further information on societies and support groups around the world, and reliable internet resources. It also contains a full glossary to aid the reader in their understanding of the disease. The different types of muscular dystrophy are described throughout with a minimum of technical jargon. Questions relating to exercise, physiotherapy, surgery, and the emotional effects of the diseases are answered, and advice is given on the problems of schooling and choice of career. Since publication of the first edition in 1994, the genes for almost all the different types of dystrophy have been identified, enabling prevention through genetic counselling, therefore relieving some of the worry for affected families. Drawn from his many years of experience treating patients, Professor Emery provides authoritative, yet compassionate advice for people living with this illness. Professor Alan E. H. Emery is Emeritus Professor of Human Genetics at the University of Edinburgh and Chief Scientific Advisor for the European Neuromuscular Centre. He continues his research through the University of Oxford.